Home > French Blog > French Culture > Do the French Celebrate Thanksgiving? Do the French celebrate Thanksgiving? In this article, you’ll find the French Thanksgiving vocabulary as well as cultural notes about “le Jour de l’Action de Grâce(s)” as they say in Québec. 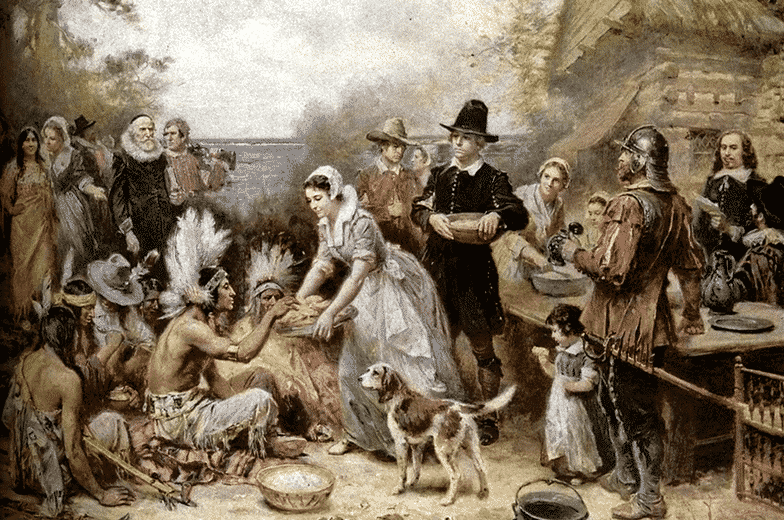 1 – Does France Celebrate Thanksgiving? Not only France doesn’t celebrate Thanksgiving, but the majority of French people don’t have a clue about what Thanksgiving is, and how important it is a celebration for our friends to the West. As big of a celebration as it is in the US and Canada, that’s pretty much the only countries that celebrate it (with few exceptions like Liberia or the Norfolk Islands). For the French, the only idea of Thanksgiving they have is from American movies or sitcoms, where they can see the traditional, and often dysfunctional and/or hilarious, Hollywood view of it. “Friends” was a big hit in France and many French people remember Joey getting his head stuck in the turkey! They are often surprised to find out that Thanksgiving in the US is a 2 days national holiday which is, in many families, more important than Christmas. And let me tell you, putting together a traditional Thanksgiving meal in France can be a real feat – see why in Olivier’s article! French-speaking Canada is where the French language and Thanksgiving really meet. So the ‘official’ French translation of Thanksgiving is the one used in Canada: “le jour de l’action de grâce(s)” or “le Jour de Merci Donnant” (although the English word “Thanksgiving” is also very much used there). 4 – What Sound Does a Turkey Make in French? “Black Friday” marks the start of the Holiday sales in the US (les soldes = sales). In Franche, it started in 2015 with only big companies sending out “Black Friday” or “Cyber” sales over the internet or even coupon through the mail. It was still discreet though. In 2017, I saw it for the first time affecting the stores in my small town of Paimpol, Brittany! Learn more about “Black Friday” in France and sales vocabulary in my article. “Merci beaucoup” – ‘thank you very much’. “Mille mercis” or “merci mille fois” – kind of “thanks a million” but it’s only a thousand in French! Another way to say ‘thank you’ is to use the verb “remercier”, but it is quite formal in French, much less common than using “merci”. Je vous remercie pour ce délicieux repas. I thank you for this delicious meal. 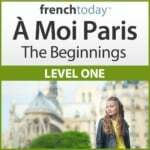 Learn more about how to thank in French in my article. At Thanksgiving, it’s a tradition to go around the table and say what you are grateful for, thankful for that year. Olivier et moi sommes reconnaissants envers tous les gens qui ont acheté nos livres audio : un grand merci à tous ! Olivier and I are thankful to all the people how bought our audiobooks: a big thank-you to all! Joyeux jour de l’Action de Grâce à vous et à votre famille !